And, for the look for less, I’m actually going to change up the color scheem a little. 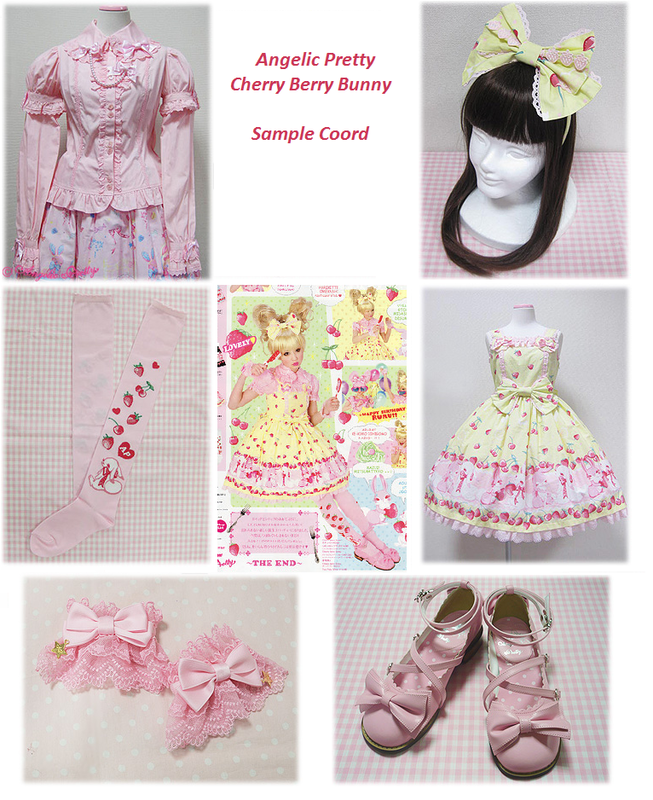 While it’s certainly possible to find things in yellow and pink, the dress I wanted to use (similar cut, also a rabbit motif) doesn’t come in yellow, so we are going to do pink and sax blue instead. Now, some people might look at that total and think that is still really steep, and in a way, it is. 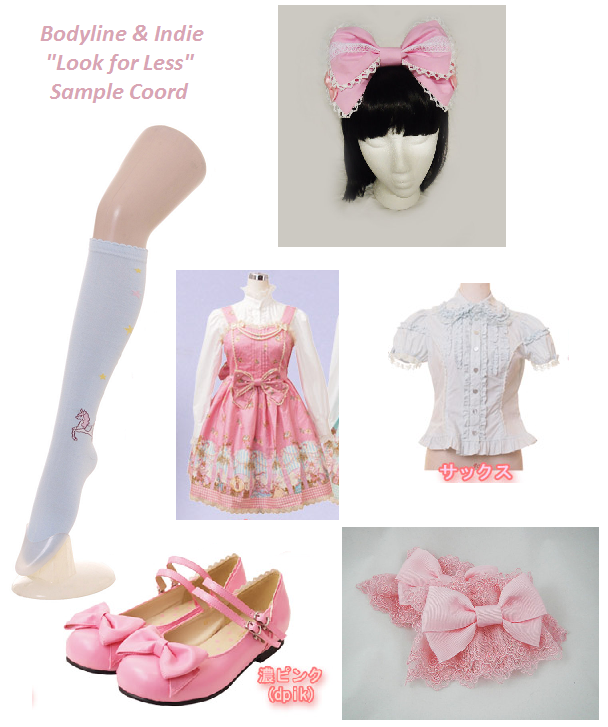 The indie wrist cuffs aren’t that much cheaper than the ones from AP, and the blouse, JSK and shoes, are actually in the mid-to-upper price range for bodyline. However, the shoes and the blouse could be easily re-used across multiple coordinates if you keep the same colors. I opted for the blouse and shoes I liked best to match these things, but bodyline certainly has nice blouses and shoes for about half as much if you are on a tight budget!